Hoopla: Hoopla Big Christmas Thanks! Hi everyone. This is my big Christmas thank you blog! I've been trying to write it all week and have procrastinated and procrastinated and now it is midnight on Christmas Eve and I have to write it now after watching It's A Wonderful Life for the first time ever! About 11 years ago it was easy to thank everyone in Hoopla. They were all in the Bedford in Balham every Thursday night, and there were about 11 of them. Back then it felt like it was even possible to know the entire London improv scene. There were about 5 people performing at The Wheatsheaf, 5 at The Bedford, 5 at The Bell, and some professionals at the Comedy Store, and about 5 audience members to share between us. Now improv is massive and Hoopla survives due to the work and play of 100s of people. So many people make an improv company work so thank you so much everyone! I know I'm in danger of turning it into a sentimental American movie but it's Christmas and i've just got to! Thank you so much everyone at The Miller - James Pain, Jen, Charles Ross, Jess, Luke, Ollie and all the staff. They are so supportive of improv it is off the improv scale and they do so much for us and are amazing in every way. Jen even protected an entire pub from a terrorist attack this year. Thank you to all of our teachers you are all amazing and I love working with you so much and I just want to bring improv fun to as many people as possible in the most fun way possible and you do that. Thank you to all the show groups, performers, directors, coaches, cabaret acts, stand ups, hosts, tech improvisers, musicians and more. Every time I sit and watch I'm blown away by the things that are happening now with improv, there are so many brave new directions and a spirit right now that anything is possible. It's electric. Thank you everyone on our corporate team for parachuting into companies and delivering improv joy, people at work are just improvisers in disguise! And thank you Max for turning it into a professional team. Thank you to all of lovely audience. I love being there each Saturday and seeing familiar faces. Thank you for taking a punt on improv in the first place and coming back, and thank you for your enthusiasm and allowing us to put on great things! Thank you to everyone who has done a course or workshop with us this year and all years. When I first did improv I turned up half an hour early so I could lock myself in the toilet and say "you can do this" over and over again, so I admire and respect anyone for stepping on stage for the first time. If an asteroid was hitting Earth in November I would probably still teach courses September - October. MEGA THANKS for all of our front of house, hosting, photography and tech volunteers this year. This has made a colossal difference to us and allowed us to go from two shows a week to full-time next year. I mean it, without you there wouldn't be as many shows. Helping out at someone else's show makes the biggest difference to improv scene. Thank you to all of our workshop venues we use at The Nursery, Theatre Delicatessen and more, you are all so professional and friendly and easy to work with and I don't know how you do it but thank you! Thank you to everyone involved in all of our filming and recording, even the first one had a cast of 1000s and we hope to put on more Ben Hur epics next year! Thanks to EVERYONE involved in the Hoopla Improv Marathon which was the most bonkers weekend of my life and I think I will remember for ever. For me that is what Hoopla is all about - it was gloriously chaotic and yet from that rose moments of great beauty where everyone felt totally connected. EXTRA SPECIAL THANKS to Angela Pollard who has joined our team and my only regret is not hiring her 11 years ago as you have made such a difference and I can't wait for the all the exciting things we will work on next year. Thank you all FRIENDS especially Edgar and Jason for being there and letting me talk endlessly about Hoopla and nothing else. And THANK YOU my lovely wife George for being so patient and kind and lovely and for being Hoopla's unofficial creative consultant and helping me understand my own mind better than I can myself. And thank you to everyone else involved in Hoopla!!! I don't mind saying that Hoopla is a lot of hard work sometimes, I'm often totally out of my depth and I there have been times over the years where I have felt like giving up. But always at the moment there is something that happens that makes me leap up and down and shout "THAT'S IT! THAT'S WHY WE DO THIS!!!!!!". It might be a Project 2 show where Fred Deakin seamlessly integrates a soundscape into an awesome scene and every single person in the audience is captivated, or Richard Soames making every person in the audience be a dinosaur. Or it's in a workshop where a beginners course turn up on week 7 and THEY ARE JUST AWESOME, or week 1 of a course and someone makes an observation about an exercises that is better than any improv book written ever. Sometimes it is even Angela and me having a chat that "submitting press listings is boring" and then falling about laughing because before that we always did that by ourselves and thought we were the only ones to feel that way. Every single day something happens to make me love improv again. 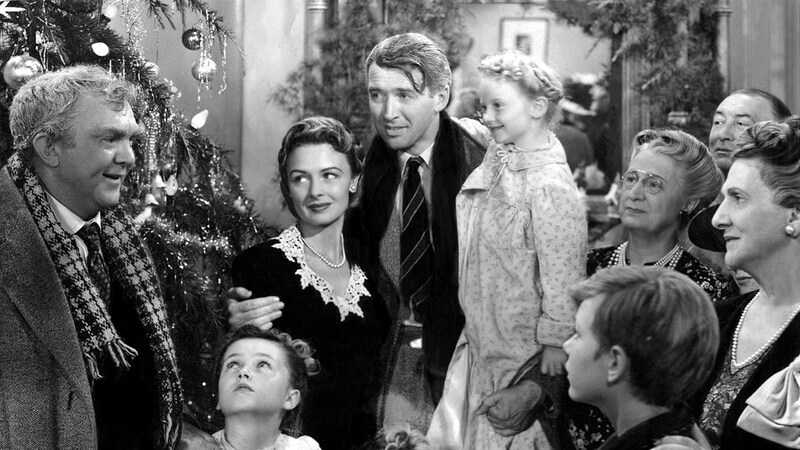 Today I was watching It's A Wonderful Life and found myself admiring the community they have in that film, where everyone knows each other and lives near each other. Then I realised we have that in improv. We might all live in different towns, have different jobs, work in different places, but there is something about improv that brings people together and crosses those divides. What I enjoy most about improv is stepping into the unknown. We had Adam Meggido from Showstoppers in as a guest teacher just before Christmas and it was great to get back to the thrill of just stepping out of the audience, stepping on stage, connecting to your scene partner, and stepping into the unknown together. That's the first thing I loved about improv, and it seems somehow endless. So next year we're stepping into the unknown again. I have absolutely no idea what's going to happen, but I'm really excited about it, and thank you everyone for being part of it.